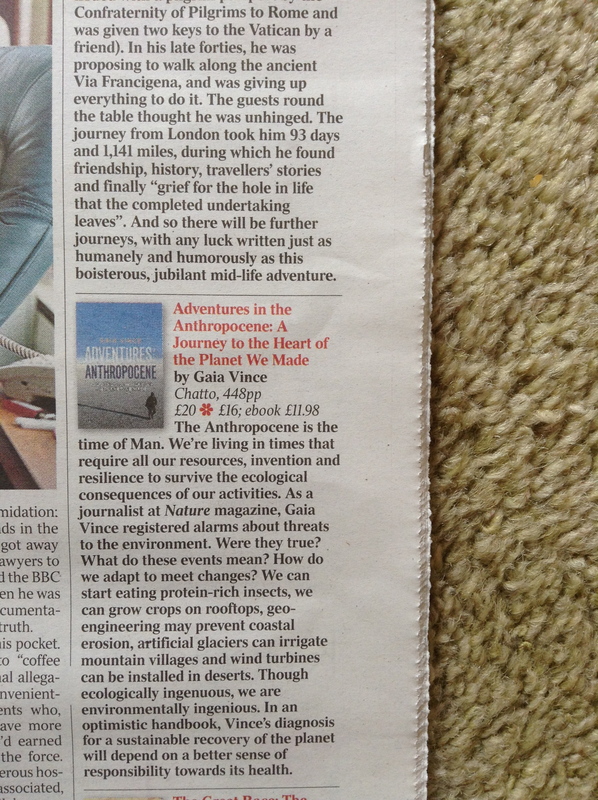 My book got a mention in today’s copy of The Times, after a longer review in the Sunday Times last month. And it was listed in last Sunday’s Observer in the top 10 books about science and tech this month. Also this week my article ‘Agenda for a new age’ appeared in Research Fortnight, and I chatted about my book on NewsTalk Radio Ireland. My book is available online and in bookshops. Thanks for writing it and keep up the good work!